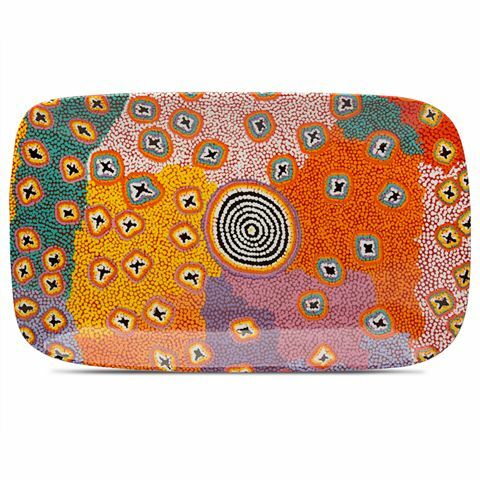 Alperstein’s Aboriginal Art collection is a bright collection of accessories that feature the artworks of some of Australia’s finest artists. With their bold colours and amazing designs, these pieces do true justice to the works on which they’re based…and you’ll find them really handy too! Ruth Napaljarri Stewart has been exhibiting her artwork since 1986 throughout Australia and around the world. She's part of the Warlpiri Group and lives in Yuendumu in the Northen Territory. Her painting “Ngatijiri Jukurrpa” (“Green Budgerigar Dreaming”) tells the story of the Napaljarri women and the Japaljarri men and how they would hunt for the small bright green budgerigars, native to central Australia. This gorgeous painting with its bright orange, pink and purple colouring is beautifully featured on this Long Plate from Alperstein. A powerful way to bring this beautiful art to life. 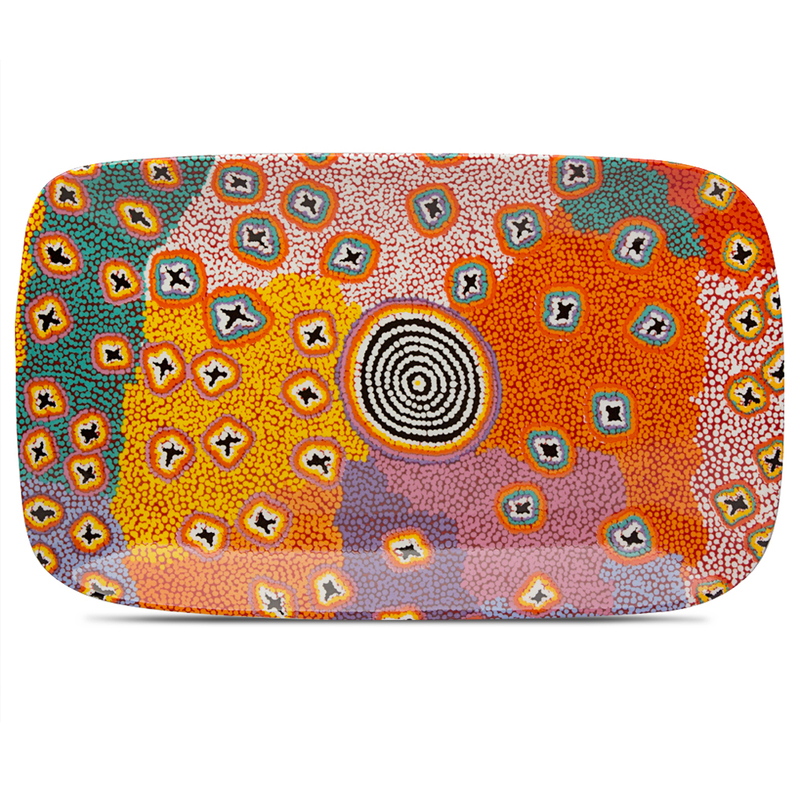 Design: "Ngatijiri Jukurrpa" (“Green Budgerigar Dreaming”) by Ruth Napaljarri Stewart.